Small town girl with a big future! Katlyn grew up in the small town of Pacquet, NL. 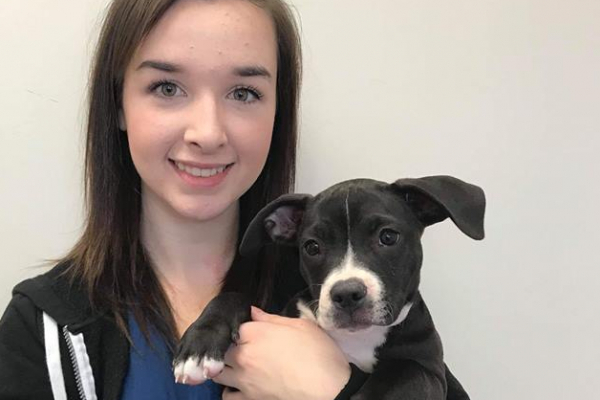 Three years ago, she he made the move to St. John’s, and graduated from the Veterinary Assistant/Receptionist course in October 2017. All of her life, she had a passion and love for animals – she was determined to be on that career path! Katlyn takes a special interest in animal behaviour and exotics. With this in mind, she anticipates expanding her knowledge and continuing education in animal care! In her spare time, you’ll find Katlyn boating with family, hiking the nature trails, or just kicking back with a good TV show.